I'm still surprised when I find unexpected connections with innovation in different industries. In a recent workshop with a large company focused on the Innovation@50x process, I mentioned that founders and intraprenuers operate more like artists than accountants - on day one they see something no one else does. One of the innovators in the room said, "It sounds like you're describing exactly what Ed Catmull the CEO of Pixar wrote in Creativity, Inc."
Say what? I kicked myself knowing that I should have thought of Pixar. While I'm sure Ed Catmull doesn't remember, when Pixar was a startup selling the Image Computer, their VP of Sales and Marketing brought me in to put together their marketing strategy. John Lassiter was just beginning to make commercials, Alvy Ray Smith was building Iceman and Loren Carpenter and Rob Cook were writing Renderman. I should have realized there was a ton I could learn about corporate creativity by looking at Pixar. I always thought that when I used the "founders as artists" analogy, the "artists" I was describing were painters, writers, sculptors and composers. I wondered what lessons Pixar, an animation studio, could have for founders. What were the parallels? Startup founders operate in chaos and uncertainty. Founders get out of the building to talk to customers. We create minimal viable products to test hypotheses/our vision, and we build a culture that supports innovation. It never occurred to me that the directors of 3D animated movies at Pixar could be the same "founders as artists." It turns out that they are. And in fact, the creative process at Pixar has a ton of lessons for both startup founders and corporate innovators. Pixar is a filmmaker-driven studio. That means the entire company is driven by directors - the artists - not by corporate executives in management with MBA's or financial models or a development department. 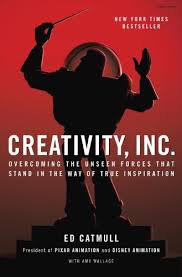 While the parallels between a director and a startup founder are striking, what's even more surprising is the match between the creative process Pixar uses to make its movies and our implementation of Lean for startups in the Lean LaunchPad and I-Corps incubators. When Pixar begins a new movie the movie doesn't exist yet. It's only an idea in the head of the director (or in the case of a startup, the founder.) How the director crafts reality out of this vision is exactly like how a founder creates a startup - it's a combination of vision, reality distortion field, tenacity and persuasion. Directors, like founders, develop mental models for how they search for an unseen destination - they "get in the zone." Some directors view it as finding a way out of a maze, or looking for a light at the end of a tunnel or uncovering a buried mountain. At Pixar, if you're a director with a passion for a project you pitch a very simple minimum viable product - in this case storyboards which are just rough illustrations that help to tell the story page by page. If you can convince John Lasseter, Pixar's chief creative officer, the film will be greenlit - it gets funding. The process is akin to pitching a VC firm. One of the systems that Pixar has put in place to keep the development of a movie on track is regular doses of open and honest feedback from other experienced directors in regularly scheduled meetings called the "Braintrust." A director shares his latest progress in the the form of storyboards, demo reels, etc. (what we in startup world would call the minimum viable product) and the critiques from other directors take the the form of comments like, "Have you considered x or thought about y?" Directors are free to come up with their own solutions. But if feedback from the Braintrust is given and nothing changes... that's a problem. And if the director loses the confidence of his crew, Pixar management steps in. In the Lean LaunchPad/I-Corps our equivalent to the Braintrust are weekly meetings where teams present what they learned from talking to customers and show their latest minimum viable products, and instructors provide continuous feedback. Dailies are the way animators (and movie makers) show and measure progress. Everyone can comment but the director decides what changes, if any, to make. Dailies are Pixar equivalents of showing your incremental MVP's- minimum viable products. In the Lean LaunchPad/I-Corps, we make our teams show us MVP's weekly to measure progress. Research trips - Pixar wanted to avoid the trap of cutting up and reassembling what was done in previous movies so they instituted research trips - "getting out of the building" to get authenticity and keep clichés at bay. Pixar animators flew to Hawaii and went scuba diving for Finding Nemo, to Scotland while they were making Brave and drove Route 66 when making Cars. Pixar movies feel authentic because they're modeled after the real world. 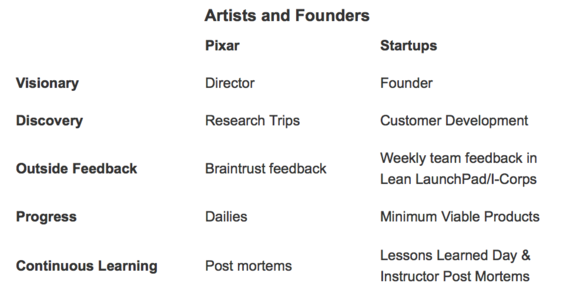 Lean Startups are built around the same notion as Pixar research trips. With startups, there are no facts inside your building so founders have to get the heck outside. Entrepreneurs work hard at becoming the customer, so they can understand customers needs and wants and experience the customer's the day-in-the-life. Pivots - Directors can pivot as long as their team can believe the reasons for changing course. When you lose your team's trust, the team will bail. Same is true for startup founders. And if pivots don't work or the Pixar Braintrust feels that after lots of feedback, the movie still is heading in the wrong direction, they replace the director - identical when a founder loses the the board's confidence and gets replaced. The power of limits - Although Pixar movies are incredibly detailed, one of their strengths is knowing when to stop. In a startup knowing that every feature isn't necessary and knowing what not to ship, is the art of a founder. Postmortems - After a film is completed, Pixar holds a postmortem, a meeting to summarize what worked, what didn't and what they could do better next time. In the Lean LaunchPad/I-Corps classes, the teaching team does post mortems weekly and then a final wrap-up after class. More importantly, our teams' final presentation are not a Demo Day, but a Lesson Learned presentation summarizing what they hypothesized, what they did and what they learned. While the parallels between individual Pixar movies and startups is striking, Pixar's CEO Ed Catmull has built is a company that has continued to innovate, making hit after hit. 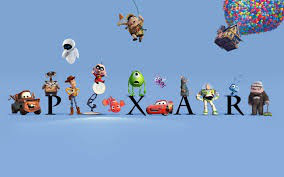 While part of Pixar's success has been built on a series of world class directors (John Lasseter, Pete Docter, Brad Bird, Andrew Stanton, Lee Unkrich), what makes Pixar unique is that in a "hits-based business" they've figured out how to turn directors' visions into blockbuster movies repeatedly. 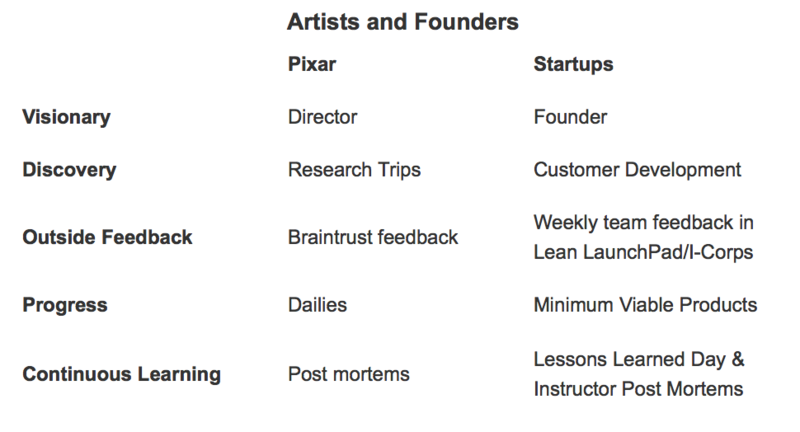 Pixar has built a process of continuous corporate innovation. The second innovation insight at Pixar is the power of iterative trial and error - the notion of being wrong fast. (One of the key tenets of the Lean Startup.) Catmull observed that even the smartest person can't consider all possible outcomes. Managers who over-plan just take longer to be wrong. Managers see change as a threat to their existing business model - and it is. Self-interest motivates opposition to change but lack of self awareness fuels it even more.